Sussan Babaie (2012). “Isfahan: Monuments: Bibliography”. Encyclopædia Iranica. Traditional Persian residential architecture, is the architecture employed by builders and craftsmen in the cultural Greater Iran and the surrounding regions to construct vernacular houses. The art draws from various cultures and elements from both Islamic and pre-Islamic times. Being situated on the edge of deserts and arid regions, Persian (Iranian) cities typically have hot summers, and cold, dry winters. Thus Iran’s traditional architecture is designed in proportion to its climatic conditions, and more than often, the unique fabled artistic background of Persia makes up for the seemingly lack of natural resources and beauty. The existence of hundreds of traditional houses with handsome designs even today amidst ugly apartments in Iran’s hasty modernization projects is testament to a deep heritage of Architecture. Iran‘s old city fabric is composed of narrow winding streets called koocheh with high walls of adobe and brick, often roofed at various intervals. This form of urban design, which used to be commonplace in Iran, is an optimal form of desert architecture that minimizes desert expansion and the effects of dust storms. It also maximizes daytime shades, and insulates the “fabric” from severe winter temperatures. Islamic beliefs coupled with the necessity to defend cities against frequent foreign invasions encouraged traditional Persian residential architects to create inward seeking designs amidst these narrow complicated koochehs, weaving tightly knit residential neighborhoods. Thus the house becomes the container as opposed to the contained. These houses possess an innate system of protection; they all have enclosed gardens with maximum privacy, preventing any view into the house from the outside world. Hence residential architecture in Persia was designed in a way so as to provide maximum protection to the inhabitants during times of tension and danger, while furnishing a microcosm of tranquility that protected this inner “paradise garden”. Neighborhoods in old Persian cities often formed around shrines of popular saints. All public facilities such as baths, houses of mourning (Tekyehs), teahouses, administration offices, and schools were to be found within the neighborhood itself. In addition to the main bazaar of the city, each neighborhood often had its own bazaar-cheh as well (i.e. “little bazaar”), as well as its own ab anbar (or public water reservoir), which provided the neighborhood with clean water. Qazvin, for example had over 100 such reservoirs before being modernized with city plumbing in modern times. A roofscape of a traditional neighborhood in Kashan. The roof in the foreground belongs to a Qajar era bath-house. Stucco reliefs from Borujerdi-ha House, Kashan. Koochehs provided relief from sand storms. This was an efficient and ancient form of urban design in Persia. Photograph is from Nain. Borujerdi-ha House, 1857, Kashan, a masterpiece of design. 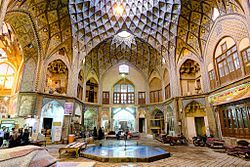 When visiting Kashan in 1993, the chairman of UNESCO remarked: “Kashani architects are the greatest alchemists of history. They could make gold out of dust”. Indeed, almost all of Kashan’s masterpieces, as in many other parts in Iran are made of humble, local, earth. Like many other cities throughout Iran, stucco was the most widespread method of ornamentation in Persian houses. One reason was the relatively cheap price of the materials used (like gypsum for example) that don’t require a high temperature to be transformed into plaster. This is an important consideration in places like central Iran where wood is relatively scarce. Another reason is that it is easily shaped, molded, or carved. Thanks to stucco, a wall of crudely fashioned stone blocks or raw brick, gives an impression of great luxury. Thus stucco owes its luxurious appearance to the skill of the craftsman. And with a tradition of stucco technique going back to pre-Islamic Iran, this is an art fully mastered by Persian craftsmen, as seen here. Earthquakes in Iran leave massive destruction. Most of Iran’s remaining traditional houses date from the post-quake eras during the Qajar period. Despite the efforts of architects to build resistance to earthquakes into their works, hardly anything remains from the spectacular Safavi palaces or anything prior to those as recounted by French and British explorers in many parts of Persia. Hashti and Dalan-e-vorudi: Entering the doorway one steps into a small enclosed transitional space called Hashti. Here one is forced to redirect one’s steps away from the street and into the hallway, called Dalan e Vorudi. In mosques, the Hashti enables the architect to turn the steps of the believer to the correct orientation for prayer hence giving the opportunity to purify oneself before entering the mosque. A central pool (howz) with surrounding gardens containing trees of figs, pomegranates, and grape vines. Important partitionings such as the biruni (exterior) and the andaruni (interior). Specific orientation facing toward and away from Mecca. The courtyard of the Lari House in Yazd. The Tabatabaei residence, Kashan, mid-1800s. Persia’s distinctive artistic heritage with efficient yet ancient technical know-how thus created houses and spaces whose features were aesthetic talars and roofscapes with intriguing light wells, as well as intricate window and mirror works, paintings, reliefs, and a beautifully crafted iwan amidst comfortable residential spaces in hot arid regions. Whereas the geometrical rigor seen in the works such as those in Safavi era Isfahan invoke the perfect order of the celestial world, the vegetal ornamentation realized in the interiors of houses, testify to the Persian love of gardens. And the stucco carvings, frescoes, and paintings executed by royal craftsmen, exemplify the level of Persian aesthetics. The Borujerdi House has become a famous landmark and sample of Persian traditional residential architecture. Timcheh-e Amin o Dowleh, Kashan Bazaar (19th century). Persian architects used these structures to naturally decrease temperatures, regulate sunlight, and ventilate the interior spaces during the daytime. Amin-o-Dowleh, Persian royal envoy to the court of Napoleon III. Kashan (Persian: کاشان‎, also Romanized as: Kāshān) is a city in Isfahan province, Iran. At the 2006 census, its population was 248,789, in 67,464 families. Kashan is divided into two parts, mountainous and desert. In the west side, Kashan is cited in the neighbourhood of two of highest peaks of Karkas chain, Mount Gargash to the southwest of Kashan (the home of Iran national observatory, the largest astronomical telescope of Iran) and Mount Ardehaal in the west of Kashan, also known as “Damavand of Kashan” and the highest peak of Ardehaal mountains (end part of Karkas chain in central Iran). In the east side of the city Kashan opens up to the central desert of Iran which the city is famous for. Kashan is also known for Maranjab Desert and Caravanserai located near the namak lake (or salt lake). Today Maranjab and the surrounding Shifting Sands is a popular destination at the weekends. The artifacts uncovered at SialkMahan Pasha reside in the Louvre in Paris and the New York Metropolitan Museum of Art, and Iran’s National Museum. By some accounts, although not all, Kashan was the origin of the three wise men who followed the star that guided them to Bethlehem to witness the nativity of Jesus, as recounted in the Bible. Whatever the historical validity of this story, the attribution of Kashan as their original home testifies to the city’s prestige at the time the story was set down. Abu-Lu’lu’ah/Pirouz Nahāvandi, the Persian soldier who was enslaved by the Islamic conquerors and eventually assassinated the caliph Umar al-Khattab in AH 23 (643/4 CE), reportedly fled to Kashan after the assassination. His tomb is one of Kashan’s conspicuous landmarks (see gallery below). Sultan Malik Shah I of the Seljuk dynasty ordered the building of a fortress in the middle of Kashan in the 11th century. The fortress walls, called Ghal’eh Jalali still stand today in central Kashan. Kashan was also a leisure vacation spot for Safavi Kings. Bagh-e Fin (Fin Garden), specifically, is one of the most famous gardens of Iran. This beautiful garden with its pool and orchards was designed for Shah Abbas I as a classical Persian vision of paradise. The original Safavid buildings have been substantially replaced and rebuilt by the Qajar dynasty although the layout of trees and marble basins is close to the original. The garden itself however, was first founded 7000 years ago alongside the Cheshmeh-ye-Soleiman. The garden is also notorious as the site of the murder of Mirza Taghi Khan known as Amir Kabir, chancellor of Nasser-al-Din Shah, Iran’s king in 1852.
a view of Kashan around 17th century from Jean Chardin. Tabatabaeis House, early 1800s, Kashan. A fine example of traditional Persian architecture. Although there are many sites in Kashan of potential interest to tourists, the city remains largely undeveloped in this sector, with fewer than a thousand foreign tourists per year. Notable towns around Kashan are Qamsar and Abyaneh, which attract tourists all year around. The nearby town of Niasar features a man-made cave and fireplace of historical interest. Kashan is internationally famous for manufacturing carpets, silk and other textiles. Today, Kashan houses most of Iran’s mechanized carpet-weaving factories, and has an active marble and copper mining industry. Kashan and suburbs have a population of 400,000. 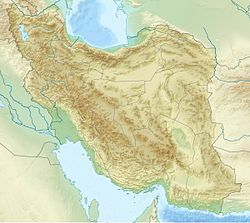 Kashan is connected via freeways to Isfahan and Natanz to the South, and Qom, which is an hour drive away to the north. Kashan railway station is along the main north-south railways of Iran. Sialk – Kashan’s ancient architecture. This article is a rough translation from Persian. It may have been generated by a computer or by a translator without dual proficiency. Please help to enhance the translation. The original article is under “فارسی” in the “languages” sidebar. See this article’s entry on Pages needing translation into English for discussion. Mashhad (Persian: مشهد‎, Mašhad IPA: [mæʃˈhæd] ( listen)), also spelled Mashad or Meshad, is the second most populous city in Iran and the capital of Razavi Khorasan Province. It is located in the northeast of the country, near the borders with Turkmenistan and Afghanistan. It has a population of 3,001,184 inhabitants (2016 census), which includes the areas of Mashhad Taman and Torqabeh. It was a major oasis along the ancient Silk Road connecting with Mervto the east. 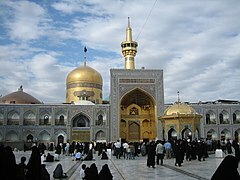 The city is named after the “shrine” of Imam Reza, the eighth Shia Imam. The Imam was buried in a village in Khorasan, which afterwards gained the name Mashhad, meaning the place of martyrdom. Every year, millions of pilgrims visit the Imam Reza shrine. The Abbasid caliph Harun al-Rashid is also buried within the shrine. Mashhad has been governed by different ethnic groups over the course of its history. The city enjoyed relative prosperity in the Mongol period. Mashhad is also known colloquially as the city of Ferdowsi, after the Iranian poet who composed the Shahnameh. The city is the hometown of some of the most significant Iranian literary figures and artists, such as the poet Mehdi Akhavan-Sales, and Mohammad-Reza Shajarian, the traditional Iranian singer and composer. Ferdowsi and Akhavan Sales are both buried in Tus, an ancient city that is considered to be the main origin of the current city of Mashhad. On 30 October 2009 (the anniversary of the death of Imam Reza), Iran’s then-President Mahmoud Ahmadinejad declared Mashhad to be “Iran’s spiritual capital”. The name Mashhad comes from Arabic, meaning a shrine or the place of martyrdom. It is also known as the place where Ali ar-Ridha (Persian, Imam Reza), the eighth Imam of Shia Muslims, died (according to the Shias, was martyred). Reza’s shrine was placed there. The ancient Parthian city of Patigrabanâ, mentioned in the Behistun inscription (520 BCE) of the Achaemenid Emperor Darius I, may have been located at the present-day Mashhad. At the beginning of the 9th century (3rd century AH), Mashhad was a small village called Sanabad, which was situated 24 kilometres (15 miles) away from Tus. There was a summer palace of Humayd ibn Qahtaba, the governor of Khurasan. In 808, when Harun al-Rashid, Abbasid caliph, was passing through there to quell the insurrection of Rafi ibn al-Layth in Transoxania, he became ill and died. He was buried under the palace of Humayd ibn Qahtaba. Due to this historical event, the Dar al-Imarah was known as the Mausoleum of Haruniyyeh. Several years later in 818 Ali al-Ridha was martyred by al-Ma’mun and was buried beside the grave of Harun. Although Mashhad is considered as the owner of cultural heritage of Tus (including its figures like Nizam al-Mulk, Al-Ghazali, Ahmad Ghazali, Ferdowsi, Asadi Tusi and Shaykh Tusi), the earlier Arab geographers have correctly identified Mashhad and Tus as two separate cities, which are now located about 19 kilometres (12 miles) from each other. Although some believe that after this event, the city was called Mashhad al-Ridha (the place of martyrdom of al-Ridha), it seems that Mashhad, as a place-name, first appears in al-Maqdisi, i.e. in the last third of the 10th century. About the middle of the 14th century, the traveller Ibn Battuta uses the expression “town of Mashhad al-Rida”. Towards the end of the Middle Ages, the name Nuqan, which is still found on coins in the first half of the 14th century under the Il-Khanids, seems to have been gradually ousted by al-Mashhad or Mashhad. Terken Khatun, Empress of the Khwarazmian Empire, known as “the Queen of the Turks”, held captive by Mongol army. Shias started visiting there for pilgrimage of his grave. By the end of the 9th century, a dome was built on the grave and many buildings and bazaars sprang up around it. During more than a millennium it has been devastated and reconstructed several times. In 1161 however, the Ghuzz Turks succeeded in taking the place, but they spared the sacred area in their pillaging. It was not considered a great city until Mongol raids in 1220, which caused the destruction of many large cities in Khurasan, leaving Mashhad relatively intact in the hands of Mongolian commanders because of the cemetery of Ali Al-Rezza and Harun al-Rashid (the latter was stolen). Thus the survivors of the massacres migrated to Mashhad. The only well-known food in Mashhad, “sholeh Mashhadi” (شله مشهدی) or “Sholeh”, dates back to the era of the Mongolian invasion when it is thought to be cooked with any food available (the main ingredients are meat, grains and abundant spices) and be a Mongolian word. When the traveller Ibn Battuta visited the town in 1333, he reported that it was a large town with abundant fruit trees, streams and mills. A great dome of elegant construction surmounts the noble mausoleum, the walls being decorated with colored tiles. It seems that the importance of Sanabad-Mashhad continually increased with the growing fame of its sanctuary and the decline of Tus, which received its death blow in 1389 from Miran Shah, a son of Timur. When the Mongol noble who governed the place rebelled and attempted to make himself independent, Miran Shah was sent against him by his father. Tus was stormed after a siege of several months, sacked and left a heap of ruins; 10,000 inhabitants were massacred. Those who escaped the holocaust settled in the shelter of the ‘Alid sanctuary. Tus was henceforth abandoned and Mashhad took its place as the capital of the district. Shah Ismail I, founder of the Safavid dynasty, conquered Mashhad after the death of Husayn Bayqarah and the decline of the Timurid dynasty. He was later captured by the Uzbeks during the reign of Shah Abbas I. In the 16th century the town suffered considerably from the repeated raids of the Özbegs (Uzbeks). In 1507, it was taken by the troops of the Shaybani or Shabani Khan. After two decades, Shah Tahmasp I succeeded in repelling the enemy from the town again in 1528. But in 1544, the Özbegs again succeeded in entering the town and plundering and murdering there. The year 1589 was a disastrous one for Mashhad. The Shaybanid ‘Abd al-Mu’min after a four months’ siege forced the town to surrender. Shah Abbas I, who lived in Mashhad from 1585 till his official ascent of the throne in Qazwin in 1587, was not able to retake Mashhad from the Özbegs till 1598. Mashhad was retaken by the Shah Abbas after a long and hard struggle, defeating the Uzbeks in a great battle near Herat as well as managing to drive them beyond the Oxus River. Shah Abbas I wanted to encourage Iranians to go to Mashhad for pilgrimage. He is said to have walked from Isfahan to Mashhad. During the Safavid era, Mashhad gained even more religious recognition, becoming the most important city of Greater Khorasan, as several madrasah and other structures were built besides the Imam Reza shrine. Besides its religious significance, Mashhad has played an important political role as well. The Safavid dynasty has been criticized in a book (Red Shi’sm vs. Black Shi’ism on the perceived dual aspects of the Shi’a religion throughout history) as a period in which although the dynasty didn’t form the idea of Black Shi’ism, but this idea was formed after the defeat of Shah Ismail against the Ottoman leader Sultan Yavuz Selim. Black Shi’ism is a product of the Post-Safavid-Period. Under Tahmasp II, in 1722, the Abdalis Afghans invaded Khorasan and seized Mashhad. After three years, Persians besieged them for two months and retook the city in 1726. It saw its greatest glory under Nader Shah, ruler of Iran from 1736 to 1747 and also a great benefactor of the shrine of Imam Reza, who made the city his capital. Nearly the whole eastern part of the kingdom of Nadir Shah passed in this period of Persian impotence under the rule of the vigorous Afghan Ahmad Shah Durrani . Ahmad defeated the Persians and took Mashhad after an eight months’ siege in 1753. Ahmad Shah and his successor Timur Shah left Shah Rukh in possession of Khurasan as their vassal, making Khurasan a kind of buffer state between them and Persia. As the real rulers, however, both these Afghan rulers struck coins in Mashhad. Otherwise, the reign of the blind Shah Rukh, which with repeated short interruptions lasted for nearly half a century, passed without any events of special note. It was only after the death of Timur Shah (1792) that Agha Mohammad Khan Qajar, the founder of the Qajar dynasty, succeeded in taking Shah Rukh’s domains and putting him to death in 1795, thus ending the separation of Khurasan from the rest of Persia. Some believe that Mashhad was ruled by Shahrukh Afshar and remained the capital of the Afsharid dynasty during Zand dynasty until Agha Mohammad Khan Qajarconquered the then larger region of Khorasan in 1796. The modern development of the city accelerated under the regime of Reza Shah (1925-1941). Shah Reza Hospital (currently Imam Reza Hospital, affiliated to the Basijorganization) was founded in 1934, the sugar factory of Abkuh in 1935 and the Faculty of Medicine of Mashhad in 1939. The first power station was installed in 1936 and in 1939 the first urban transport service began with two buses. In this year the first population census was performed, with a result of 76471 inhabitants. In 1911 Yusuf Khan of Herat was declared independent in Mashhad as Muhammad Ali Shah and brought together a large group of reactionaries opposed to the revolution, and keep stirring for some time. This gave Russia the excuse to intervene and 29 March 1912 bombed the city; this bombing killed several people and pilgrims; action against a Muslim shrine caused a great shock to all Islamic countries. On March 29, 1912, the sanctuary of Imam Reza was bombed by the Russian artillery fire, causing some damage, including to the golden dome, resulting in a widespread and persisting resentment in the Shiite Muslim world as well as British India. 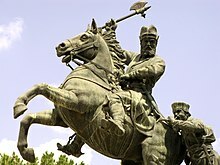 This bombing was orchestrated by Prince Dabizha (a Georgian who was the Russian Consul in Mashhad) and General Radko (a Bulgarian who was commander of the Russian Cossacks in the city). Yusuf Khan ended captured by the Persians and executed. In 1935, a backlash against the modernizing, anti-religious policies of Reza Shah erupted in the Mashhad shrine. Responding to a cleric who denounced the Shah’s heretical innovations, corruption and heavy consumer taxes, many bazaaris and villagers took refuge in the shrine, chanted slogans such as “The Shah is a new Yazid.” For four days local police and army refused to violate the shrine and the standoff was ended when troops from Azerbaijan arrived and broke into the shrine, killing dozens and injuring hundreds, and marking a final rupture between Shi’ite clergy and the Shah. According to some Mashhadi historians, the Goharshad Mosque uprising, which took place in 1935, is an uprising against Reza Shah’s decree banning all veils (headscarf and chador) on 8 January 1936. In 1965 an important urban renewal development project for the surroundings of the shrine of Imam Reza was proposed by the famous Iranian architect and urban designer Dariush Borbor to replace the dilapidated slum conditions which surrounded the historic monuments. The project was officially approved in 1968. In 1977 the surrounding areas were demolished to make way for the implementation of this project. In order to relocate the demolished businesses, a new bazaar was designed and constructed in Meydan-e Ab square (in Persian, میدان آب”) by Dariush Borbor. After the revolution the urban renewal project was abandoned. On June 20, 1994, a bomb exploded in a prayer hall of the shrine of the Imam Reza The bomb that killed at least 25 people on June 20 in Mashhad exploded on Ashura. The Baluch terrorist, Ramzi Yousef, a Sunni Muslim turned Wahhabi, one of the main perpetrators of the 1993 World Trade Center bombing, was found to be behind the plot. However, official state media blamed Mehdi Nahvi, a supposed member of the People’s Mujahedin of Iran (MKO), a fundamentally Marxist organization, in order to prevent sectarian violence. In 1998 and 2003 there were student disturbances after the same events in Tehran. The city is the administrative center of Mashhad County (or the Shahrestan of Mashhad) as well as the somewhat smaller district (Bakhsh) of Mashhad. The city itself, excluding parts of the surrounding Bakhshand Shahrestan, is divided into 13 smaller administrative units, with a total population of more than 3 million. Mashhad features a steppe climate (Köppen BSk) with hot summers and cool winters. The city only sees about 250 millimetres (9.8 inches) of precipitation per year, some of which occasionally falls in the form of snow. Mashhad also has wetter and drier periods with the bulk of the annual precipitation falling between the months of December and May. Summers are typically hot and dry, with high temperatures sometimes exceeding 35 °C (95 °F). Winters are typically cool to cold and somewhat damper, with overnight lows routinely dropping below freezing. Mashhad enjoys on average just above 2900 hours of sunshine per year. The vast majority of Mashhadi people are ethnic Persians, who form the majority of the city’s population. Other ethnic groups include Kurdish and Turkmen people who have emigrated recently to the city from the North Khorasan province. There is also a significant community of non-Arabic speakers of Arabian descent who have retained a distinct Arabian culture, cuisine and religious practices. The people from Mashhad who look East Asian are Iranians of Hazara, Turkmen, or Uyghur ancestry or indeed a combination of all other ethnic groups, including Persians, as racial mixing has been widely practiced in this region. Among the non-Iranians, there are many immigrants from Afghanistan, Iraq and Pakistan. As neighbouring areas with cultural ties, there has been a long history of population movements between Khorasan and Afghanistan. Like the other areas in Khorasan province where there is an Afghan community due to the influx of Afghan refugees coming from Afghanistan in recent years, the demographic explosion of Mashhad continued with the addition of some 296 000 Afghans Refugees to Mashhad, following the communist revolution of 1978. In many cases, they are no longer refugees but should be mentioned as locals (Iran’s Ministry of Interior estimates that the total number of Afghans in Iran is now around 3 million. Considering that there were 296000 Afghans Refugees to Mashhad (from 2.5 million in the whole Iran) following the communist revolution of 1978, the number of Afghans in Mashhad cannot be lesser that 296000 people – and so a rate more than 10.8% should be considered). Afghan refugees originate up to 90% from the provinces of Herat, Farah and Nimruz Province, speak in Dari Farsi and familiar with the culture in Mashhad. Even before the political frontier between Iran and Afghanistan, the Persian-speaking inhabitants from the provinces of Herat and Farah in Afghanistan had had kinship, as well as ethnical, religious, or economic relations with the Iranian province of Khorasan (especially Mashhad, where people speak a dialect akin with Harat dialect). According to Khorasan Razavi’s General Administration of Nationals and Immigrants, there are 142,000 registered Afghan citizens living in Khorasan, 95 percent of which were identified in Mashhad. The Afghan immigrants have several neighborhoods around the city, especially in a new quarter to the northeast of Mashhad. This new Afghan quarter evokes the traditional relations of Mashhad with the Herat region and Central Asia.One of the districts inhabited by Afghan immigrants is Golshahr. The second-largest holy city in the world, Mashhad attracts more than 20 million tourists and pilgrims every year, many of whom come to pay homage to the Imam Reza shrine (the eighth Shi’ite Imam). It has been a magnet for travellers since medieval times. Thus, even as those who complete the pilgrimage to Mecca receive the title of Haji, those who make the pilgrimage to Mashhad—and especially to the Imam Reza shrine—are known as Mashtee, a term employed also of its inhabitants. As an important problem, the duration when new passengers stay in Mashhad has been considerably reduced to 2 days nowadays and they prefer to finish their trip immediately after doing pilgrimage and shopping in the markets. There are about 3000-5000 unauthorized residential units in Mashhad, which, as a unique statistic worldwide, has caused various problems in the city. Although mainly inhabited by Muslims, there were in the past some religious minorities in Mashhad, mainly Jews who were forcibly converted to Islam in 1839 after the Allahdad incident took place for Mashhadi Jews in 1839. They became known as Jadid al-Islam (“Newcomers in Islam”). On the outside, they adapted to the Islamic way of life, but often secretly kept their faith and traditions. Mashhad is Iran’s second largest automobile production hub. The city’s economy is based mainly on dry fruits, salted nuts, saffron, Iranian sweets like gaz and sohaan, precious stones like agates, turquoise, intricately designed silver jewelry studded with rubies and emeralds, eighteen carat gold jewelry, perfumes, religious souvenirs, trench coats, scarves, termeh, carpets and rugs. According to the writings and documents, the oldest existing carpet attributed to the city belongs to the reign of Shah Abbas (Abbas I of Persia). Also, there is a type of carpet, classified as Mashhad turkbâf, which, as its name suggests, is made with Turkish knot by craftsmen who emigrated from Tabriz to Mashhad in the nineteenth century. Among the major industries in the city, there is nutrition industries, clothing, leather, textiles, chemicals, steel and non-metallic mineral industries, construction materials factories, handicraft industry and metal industries. With more than 55% of hotels in Iran, Mashhad is the hub of tourism in Iran. In the geography of tourism, religious places known as the most powerful hub to attract travelers around the world, every year 20 to 30 million pilgrims from Iran and more than 2 million pilgrims and tourists from around the world come to Mashhad, despite some problems. Mashhad is one of the main producers of leather products in the region. The divorce rate in Mashhad has increased by 35 percent in 2014. Khorasan and Mashhad ranked the second in violence across the country in 2013. At the same time, the city has kept its character as a goal of pilgrimage, dominated by the strength of the economic and political authority of the Astan Quds Razavi, the administration of the Shrine waqf, probably the most important in the Muslim worldand the largest active bonyad in Iran. The Astan Quds Razavi is a major player in the economy of the city of Mashhad. The land occupied by the shrine has grown fourfold since 1979 according to the head of the foundation’s international relations department. The Shrine of Imam Reza is vaster than Vatican City. The foundation owns most of the real estate in Mashhad and rents out shop space to bazaaris and hoteliers. The main resource of the institution is endowments, estimated to have annual revenue of $210 billion. Ebrahim Raisi is the current Custodian of Astan Quds Razavi. Padideh Shandiz International Tourism Development Company, an Iranian private joint-stock holding company, behaves like a public company by selling stocks despite being a joint-stock in the field of restaurants, tourism and construction, with a footbal club (Padideh F.C. ; formerly named Azadegan Leagueclub Mes Sarcheshmeh). In January 2015, the company was accused of a “fraud” worth $34.3 billion, which is one eighth of Iran budget. Several credit institutions have been established in Mashhad, including Samenolhojaj (مؤسسه مالی و اعتباری ثامن الحجج), Samenola’emmeh (مؤسسه اعتباری ثامن) and Melal (formerly Askariye, مؤسسه اعتباری عسکریه). The depositors of the first institution have faced problem in receiving cash from the institution. The city’s International Exhibition Center is the second most active exhibition center after Tehran, which due to proximity to Central Asian countries hosts dozens of international exhibitions each year. The language mainly spoken in Mashhad is Persian with a variating Mashhadi accent, which can at times, prove itself as a sort of dialect. The Mashhadi Persian dialect is somewhat different from the standard Persian dialect in some of its tones and stresses. For instance, the Mashhadi dialect shares vocabulary and phonology with Dari Persian. Likewise, the dialect of Herati in Western Afghanistan is quite similar to the Persian dialect in Mashhad and is akin to the Persian dialects of Khorasan Province, notably those of Mashhad. Hazaragi is another dialect spoken by Hazara people who live as a diaspora community in Mashhad. Today, the Mashhadi dialect is rarely spoken by young people of Mashhad, most of them perceive it as a humiliation. This is thought to be related to the non-positive performance of the Islamic Republic of Iran Broadcasting (IRIB). Long a center of secular and religious learning, Mashhad has been a center for the Islamic arts and sciences as well as piety and pilgrimage. Mashhad was an educational centre, with a considerable number of Islamic schools (madrasas, the majority of them, however, dating from the later afavid period.Mashhad Hawza (Persian: حوزه علمیه مشهد) is one of the largest seminaries of traditional Islamic school of higher learning in Mashhad, which was headed by Abbas Vaez-Tabasi(who was Chairman of the Astan Quds Razavi board from 1979) after the revolution and in which Iranian politician and clerics such as Ali Khamenei, Ahmad Alamolhoda, Abolghasem Khazali, Mohammad Reyshahri, Morteza Motahhari, Abbas Vaez-Tabasi, Madmoud Halabi (the founder of Hojjatieh and Mohammad Hadi Abd-e Khodaee learned Islamic studies. The number of seminary schools in Mashhad is now thirty nine and there are an estimated 2300 seminarians in the city. The Ferdowsi University of Mashhad, named after the great Iranian poet, is located here and is regarded as the third institution in attracting foreign students, mainly from Afghanistan, Lebanon, Syria, Yemen, Bahrain, Central Asian republics. The Madrassa of Ayatollah Al-Khoei, originally built in the seventeenth century and recently replaced with modern facilities, is the city’s foremost traditional centre for religious learning. The Razavi University of Islamic Sciences, founded in 1984, stands at the centre of town, within the shrine complex. The prestige of traditional religious education at Mashhad attracts students, known as Talabeh, or “Mollah” internationally. The Astan Quds Razavi Central Museum, which is part of the Astan-e Quds Razavi Complex, contains Islamic art and historical artifacts. In 1976, a new edifice was designed and constructed by the well-known Iranian architect Dariush Borbor to house the museum and the ancient manuscripts. In 1569 (977 H), ‘Imad al-Din Mas’ud Shirazi, a physician at the Mashhad hospital, wrote the earliest Islamic treatise on syphilis, one influenced by European medical thought. Kashmar rug is a type of Persian rug indigenous to this region. During the recent years, Mashhad has been a clerical base to monitor the affairs and decisions of state. In 2015, Mashhad’s clerics publicly criticized the performance of concert in Mashhad, which led to the order of cancellation of concerts in the city by Ali Jannati, the minister of culture, and then the his resignation on 19 October 2016. There are two influential newspapers in Mashhad, Khorasan (خراسان)and Qods (قدس), which have been considered “conservative newspapers” They are two Mashhad-based daily published by and representing the views of their current and old owners: Foundation of Martyrs and Veterans Affairs and Astan Quds Razavi, respectively. The Islamic Educational, Scientific and Cultural Organization named Mashhad 2017’s “cultural capital of the Muslim world” in Asia on 24 January 2017. Some points of interest lie outside the city: the tomb of Khajeh Morad, along the road to Tehran; the tomb of Khajeh Rabi’located 6 kilometres (3.7 miles) north of the city where there are some inscriptions by the renowned Safavid calligrapher Reza Abbasi; and the tomb of Khajeh Abasalt, a distance of 20 kilometres (12 miles) from Mashhad along the road to Neishabur. (The three were all disciples of Imam Reza). Mashhad is served by the Mashhad International Airport, which handles domestic flights to Iranian cities and international flights, mostly to neighbouring Arab countries. The airport is the country’s second busiest after Tehran Mehrabad Airport and above the famous Tehran’s Imam Khomeini International Airport. It is connected to 57 destinations and has frequent flights to 30 cities within Iran and 27 destinations in the Central Asia, the Middle East, East Asia and Europe. The airport has been under a USD45.7 ml vast expansion project which has been finished by opening a new Haj Terminal with 10,000 m area on 24 May 2010 and followed by opening a new international terminal with 30000 m2 area with a new parking building, a new custom storage and cargo terminal, new safety and fire fighting buildings and upgrades to taxiways and equipment. Another USD26.5 ml development project for construction of new hangar for aircraft repair facilities and expansion of the west side of the domestic terminal is underway using a BOT contract with the private sector. Mashhad Urban Railway Corporation (MURCO) is constructing metro and light rail system for the city of Mashhad which includes four lines with 84.5 kilometres (52.5 miles) length. Mashhad Urban Railway Operation Company(MUROC) is responsible for the operation of the lines. The LRT line has been operational since 21 Feb 2011 with 19.5 kilometres (12.1 miles) length and 22 stations and is connected to Mashhad International Airport from early 2016. Total length of line 1 is 24 kilometers and has 24 stations. the current headway in peak hours is 5 minutes. The second line which is a metro line with 14.5 km length and 13 stations is under construction and is estimated to be finished by the ebnd of 2018..First phase of line 2 with 8 kilometers and 7 station is started since 21 Feb 2017. In 20th March two station were added to the network in test operational mode and the first interchange station was added to the network. In 7th May 2018 Iranian Persident Hassan Rouhani took part in the inaguration ceremony of the first Mashhad Urban Railway interchange station “Shariati” which connects line 1 and 2. currently line 2 operates from Saturday to Thursday with 10.1 km and 9 stations from 6 AM to 6 PM and the current headway is 15 minutes. Currently Mashhad Urban Railway Operation Company(MUROC) Operates 2 line with 34.1 kilometers length and 33 station. A new service from Nakhchivan, Azerbaijan to Mashad, Iran was launched in December 2016. Road 95 links Mashhad south to Torbat-e Heydarieh and Birjand. Road 44 goes west towards Shahrud and Tehran. Road 22 travels northwest towards Bojnurd. Ashgabat in Turkmenistan is 220 km away and is accessible via Road 22 (AH78). Herat in Afghanistan is 310 km away and accessible via Road 97 (AH1). Mashhad’s current members of parliament are described as politician with fundamentalist conservative tendencies, who are mostly the members of Front of Islamic Revolution Stability, an Iranian principlist political group. They were elected to the Parliament on 26 February 2016. Mahmoud Hashemi Shahroudi and Ahmad Alamolhoda are two members of the Iranian Assembly of Experts from Mashhad. Hashemi Shahroudi is currently First Vice-Chairman of the Iranian Assembly of Experts. He was the Head of Iran’s Judiciary from 1999 until 2009 who upon accepting his position, appointed Saeed Mortazavi, a well known fundamentalist and controversial figure during President Mahmud Ahmadinejad’s reelection, prosecutor general of Iran. He was supported by Mashhad’s reformists as the candidate of the Fifth Assembly on 26 February 2016. In 2013, an Iranian principlist political group, Front of Islamic Revolution Stability (which is partly made up of former ministers of Mahmoud Ahmadinejad and Mohammad Taghi Mesbah Yazdi), gained a landslide victory in Mashhad City Council, which on September 23, 2013, elected Seyed Sowlat Mortazavi as mayor, who was former governor of the province of South Khorasan and the city of Birjand.The municipality’s budget amounted to 9600 billion Toman in 2015. City was host to 2009 Junior World Championships in sitting volleyball where Iran’s junior team won Gold. Many beautiful handicraftproducts are sold in Shandiz and Torghabeh. Arion Golmakani (fa); an American author of Iranian origin. His award-winning memoir Solacers details his childhood in Mashhad. Tabriz (pronounced [tæbˈriːz] ( listen)) (Persian: تبریز‎; Azerbaijani: تبریز) is the most populated city in Iranian Azerbaijan, one of the historical capitals of Iran and the present capital of East Azerbaijan province. Located in the Quru River valley, between long ridges of volcanic cones in the Sahand and Eynali mountains, Tabriz’s elevation ranges between 1,350 and 1,600 metres (4,430 and 5,250 ft) above sea level. The valley opens up into a plain that gently slopes down to the eastern shores of Lake Urmia, 60 kilometres (37 miles) to the west. With cold winters and temperate summers, Tabriz is considered a summer resort. It was named World Carpet Weaving City by the World Crafts Council in October 2015 and Exemplary Tourist City of 2018 by the Organisation of Islamic Cooperation. With a population of over 1.73 million (2016), Tabriz is the largest economic hub and metropolitan area in Northwest Iran. The population is overwhelmingly Azerbaijani, though Persian is spoken by residents as a second language. Tabriz is a major heavy industries hub for automobiles, machine tools, refineries, petrochemicals, textiles and cement production industries. The city is famous for its handicrafts, including hand-woven rugs and jewellery. Local confectionery, chocolate, dried nuts and traditional Tabrizi food are recognised throughout Iran as some of the best. Tabriz is also an academic hub and a site for some of the most prestigious cultural institutes in Northwest Iran. Tabriz contains many historical monuments, representing Iran’s architectural transition throughout its deep history. Most of Tabriz’s preserved historical sites belong to Ilkhanid, Safavid and Qajar. Among these sites is the grand Bazaar of Tabriz, which is designed a World Heritage Site. From the early modern era, Tabriz was pivotal in the development, movement and economy of its three neighboring regions; namely the Caucasus, Eastern Anatolia and Central Iran. In modern era city played a vital role in the history of Iran. As the country’s closest hub to Europe, many aspects of early modernisation in Iran began in Tabriz. Prior to forced ceding of Iran’s Caucasian territories to Imperial Russia, following two Russo-Persian Wars in the first half of the 19th century, Tabriz was at the forefront of Iranian rule over its Caucasian territories. Until 1925, the city was the traditional residence for the crown princes of the Qajar dynasty. According to some sources, including Encyclopædia Britannica, the name Tabriz derives from tap-riz, from the many thermal springs in the area. Other sources claim that in AD 246, to avenge his brother’s death, king Tiridates II of Armenia repelled Ardashir I of the Sassanid Empire and changed the name of the city from Shahistan to Tauris, deriving from “ta-vrezh” (“this revenge” in Grabar). In AD 297, it became the capital of Tiridates III, king of Armenia. However, this story has a popular origin and no ancient source has recorded such event. This is based on accounts of Vardan, the Armenian historian in the 13th century. The early history of Tabriz is not well-documented. The earliest civilization signs in the city belongs to an Iron Age grave yard of 1st millennium B.C. which were unearthed in late 1990s in northern side of Blue Mosque. The city also inscribed as old as 714 B.C. on as Tarui or Tauris, on the Assyrian King Sargon II‘s epigraph in 714 BC. Since earliest documented history of Tabriz, it has been chosen as the capital for several rulers commencing from Atropates era and his dynasty. It is likely the city has been destroyed multiple times either by natural disasters or by the invading armies. The earliest elements of the present Tabriz are claimed to be built either at the time of the early Sassanids in the 3rd or 4th century AD, or later in the 7th century.When the city in the Middle Persian used to be called T’awrēš. After the Muslims conquest of Iran, the Arabic Azd tribe from Yemen resided in Tabriz. The development of post-Islamic Tabriz began as of this time. The Islamic geographer Yaqut al-Hamawi says that Tabriz was a village before Rawwad from the tribe of Azd arrive at Tabriz. In 791 AD, Zubaidah, the wife of Abbasid caliph Harun al-Rashid, rebuilt Tabriz after a devastating earthquake and beautified the city so much as to obtain the credit for having been its founder. In the ramadan of 1208, Tabriz, as well as its adjacent cities and territories were conquered by the Kingdom of Georgia under Tamar the Great, as a response to the massacre of 12,000 Christians in the Georgian-controlled city of Ani on Easter day by Muslims. In nearby Ardebil, conquered by the Georgians as well, as many as 12,000 Muslims were killed. The Georgians then pushed further, taking Khoy and Qazvin along the way. After the Mongol invasion, Tabriz came to eclipse Maragheh as the later Ilkhanid Mongol capital of Azerbaijan until it was sacked by Timur in 1392. Chosen as a capital by Abaqa Khan, fourth ruler of the Ilkhanate, for its favored location in the northwestern grasslands, in 1295, his successor Ghazan Khan made it the chief administrative center of an empire stretching from Anatolia to the Oxus River and from the Caucasus to the Indian Ocean. Under his rule new walls were built around the city, and numerous public buildings, educational facilities, and caravansarais were erected to serve traders traveling on the ancient Silk Road. The ByzantineGregory Choniades is said to have served as the city’s Orthodox bishop during this time. In the 13th century many western expediters who visit Tabriz on their way to the east were amazed by the richness of the city, its magnificent buildings and its institutions. During the Middle Ages, a Jewish community existed in the town. In the 16th century a Jewish Yemenite traveler to the town described the deteriorating conditions of Jewish life there. From 1375 to 1468, Tabriz was the capital of Qara Qoyunlu state in Azerbaijan, until defeat of Qara Qoyunlu ruler, Jahan Shah by Ag Qoyunlu warriors. Ag Qoyunlus selected Tabriz as their capital from 1469 to 1501. Some of the existing historical monuments including the Blue Mosque belong to the Qara Qoyunlu period. In 1501, Shah Ismail I entered Tabriz and proclaimed it the capital of his Safavid state. In 1514, after the Battle of Chaldiran, Tabriz was temporarily occupied by the Ottomans. Tabriz retaken by Iranian forces and it remained the capital of Safavid Iranian empire until 1548. 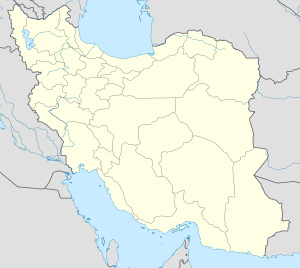 In that year Shah Tahmasp I transferred it to Qazvin to avoid the growing threat of Ottoman army to his capital. Between 1585 and 1603, Tabriz was under occupation by Ottomans. After it was retaken by the Safavids under Abbas I of Persia, the city grew as a major commerce center, conducting trade with the Ottoman Empire, Russia, and the Caucasus. Tabriz was occupied and sacked by Ottoman Murad IV in 1635, during the Ottoman–Safavid War (1623–39), before being returned to Persia in the Treaty of Zohab in 1639. In summer of 1721, a large earthquake shocked Tabriz, killing about eighty thousand of its residents. The devastation continued in 1724–1725, when the city was invaded by an Ottoman army. During this round of invasion, the Ottomans imprisoned many in Tabriz and killed about two hundred thousand residents. The city was subsequently retaken by the Iranian army, after which a widespread famine, combined with the spread of fatal diseases, killed more of those who still remained. 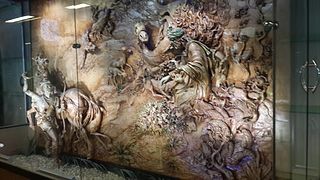 In 1780, a major earthquake hit near Tabriz and killed more than two hundred thousand people, leaving only about thirty thousand survivors. 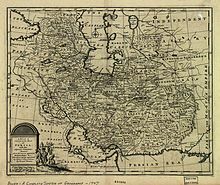 At the end of the 18th century the city was divided into several districts, each of which was ruled by a family, until 1799, when the Qajar Prince Abbas Mirza was appointed as the governor of the city. During the Qajar dynasty the city was the residence for the Crown Prince. The crown prince normally served as governor of Azerbaijan province as well. Some of the most important events in this period were the warsbetween Qajar Iran and neighboring Imperial Russia. Prior to the forced cession of Iran’s Caucasian territories—comprising what is now Georgia, southern Dagestan, Azerbaijan, and Armenia—to Imperial Russia following the two Russo-Persian Wars of the first half of the 19th century, Tabriz, being strategically located, was instrumental to the implementation of Iranian rule in its Caucasian territories. During the last Russo-Persian War, the Russo-Persian War of 1826–1828, the city was captured for Russia in 182 by General Prince Eristov, who marched into the city with 3,000 soldiers. After Abbas Mirza and Ivan Paskevich signed the peace treaty, which granted for the irrevocable cession of the last remaining Caucasian territories, the Russian army retreated from the city. Nevertheless, Russian political and military influence remained a major force in Tabriz and north-northwestern Iran even until the fall of Russian empire in the early 20th century. After the retreat of the Russian army, Abbas Mirza, the Qajar Crown Prince, launched a modernization scheme from Tabriz, during which he introduced Western-style institutions, imported industrial machinery, installed the first regular postal service, and undertook military reforms in the city. He also began a rebuilding campaign and established a modern taxation system. Saheb-ol-Amr Mosqueand Quru river, Eugène Flandin 1841. Sketch of the gate of Tabriz, Eugène Flandin1841. Thanks to the geographical closeness to the West and to communications with nearby countries’ enlightenment movements, Tabriz became the center of the Iranian Constitutional Revolution movements between 1905 and 1911, which led to the establishment of a parliament in Iran and the formation of a constitution. Sattar Khan and Bagher Khan, two Tabrizi reformists who led Tabriz people’s solidarity against absolute monarchy, had a great role in achievement to the goals of Iran’s constitutional revolution. In 1909, Tabriz was occupied by the Russian forces. Four months after the constitutional revolution’s success, in December 1911, the Russians reinvaded Tabriz. After crushing the local resistance by invading Russian troops, they started suppressing the constitutional revolutionaries and residents of the city. Following the invasion Russian troops executed about 1200 of Tabriz residents. As a result of the campaign, Tabriz was occupied by the Russian forces between 1911 and 1917. Siege of Tabriz during Constitutional Revolution, September 27, 1908. Constitutional revolutionists defending Davachi bridge against monarchists, May 1, 1909. Ark of Tabriz and US flag in the days after constitutional revolution, 1911. From the very start of World War I, Iran declared neutrality. When the war erupted on a full scale, Tabriz and much of northwestern-northern Iran had already been de facto occupied by Russia for several years. In later years of World War I, the Ottoman troops intervened and took control of the city by defeating the Russian troops stationed there. By this time, the Ottoman army led by Enver Pasha threatened the whole Russian army in the Caucasus region. Russian troops recaptured the city from the Ottomans at a later stage of the war. By escalation of the revolution in Russia, the Russian armies in Iranian Azerbaijan were evacuated, and the actual power passed into the hands of the local committee of the democrat party, with Ismail Nawbari at its head. Following Russia’s retreat, the Ottomans captured the city once again for a few months until the decisive end of the war, and retreated thereafter. After World War I, a new era in the county’s history began. Reza Shah, brigadier-general of the Persian Cossack Brigade, declared himself the king of the country following a coup d’état. He started with promises of modernization programs in Iran which was concentrated on the unification of the country, under the idea of one country, one nation. This included centralization of the power and imposing restrictions on the local culture, heritages, and language in Iranian Azerbaijan, and the city of Tabriz. The modernization and nationalization plan of Reza Shah continued until the surge of World War II. At the final year of the World War II despite the declaration of the neutrality by the Iranian government, the country was occupied by the allied forces. The allied forces then urged Reza Shah to abdicate and installed his son Mohammad Reza as the new king of the country. The postwar situation was further complicated by Soviet aid to set up a local government called Azerbaijan People’s Government in Northwest Iran, having Tabriz as its capital. The new Soviet-backed local government was run by Ja’far Pishevari and held power for one year starting from 1946. Pishevari’s government gave more freedom to speech and education in Azerbaijani language and promoted local cultural heritage and gained some popularity among the residents. However, after withdrawal of Soviet forces, Pishevari’s limited armed forces were crushed by the Imperial Iranian army and the Iranian government retook control of the city. One of the major establishments in the period of Pishevari’s government was opening of the University of Tabriz which played a major role in the later political movements and protests in the region. Russian Invasion of Tabriz, 1911. Soviet artillery units passing through Tabriz, World War II. Soviet Tank and troops marching through Tabriz, World War II. Soviet T-26 Tank passing through the main street of Tabriz, World War II. For the next 30 years, after the collapse of Azerbaijan’s Soviet-backed government, Tabriz enjoyed a stable era until the revolution in 1979. During this period the city enjoyed a lot of investment in industries and had transformed into a heavy industries hub in the northwest of Iran. The need for a strong workforce increased the immigration from all around Azerbaijan toward Tabriz. During this era and because of the continuous policy of the government centralization in Tehran as well as changes in communication and transportation, the city lost its historical dominance in favor of being the gate for reform and modernization in the country. Starting with 1978 and with the heat of the Iranian Revolution, Tabriz played a major role in the revolution. After revolution, the residents of the city were unsatisfied with the outcome, mainly because of the ignorance of the revolutionary government about the rights of the Azerbaijani minority. The other major source of dissatisfaction was the support of most of Iranian Azerbaijanis including Tabriz residents from a more liberal cleric, grand Ayatollah Shariatmadari, who was against the new constitutions content which was mixing religion and state together. The unrest in the city calmed down after brutal crush of the protesters in Tabriz and after house arrest of Shariatmadari. 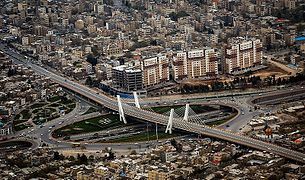 In the 1980s, due to the Iraq-Iran war, like the rest of the country, most of the construction and development projects in the city were stopped in order to fund the war costs. In addition to the indirect effects of the war, city’s industrial zone, specially the oil refinery was also a major target for air strikes by Iraqi’s air forces because of the closeness to the Iraqi border lines, and their strategic roles in the country’s economy. With escalation of the war the attacks turned to War of the Cities and the air attacks later turned into the random strikes on the residential areas of the city in the later phase of the war. In recent years, Tabriz is much more stable and the new developments in the city are rapidly changing the face of the city. Tabriz was chosen as the capital by several rulers commencing from the time of Atropates. It was the capital of the Ilkhanate (Mongol) dynasty since 1265. During the Ghazan Khan era, who came into power in 1295, the city reached its highest splendour. The later realm stretched from the Amu Darya in the East to the Egypt borders in the West and from the Caucasus in the North to the Indian Ocean in the South. It was again the capital of Iran during the Qara Qoyunlu dynasty from 1375 to 1468 and then during the Ag Qoyunlu within 1468–1501. Finally, it was capital of the Iranian Empire in the Safavid period from 1501 until their defeat in 1555. In 2002, during a construction project at the north side of the Blue Mosque (Part of Silk Road Project), an ancient graveyard was revealed. This was kept secret until a construction worker alerted the authorities. Radiocarbon analysis by Allameh Tabatabi University has shown the background of the graves to be more than 3800 years old. A museum of these excavations including the Blue Mosque was opened to the public in 2006. The other excavation site is in Abbasi Street at the site of Rab’-e Rashidi, which was the location for an academic institution since approximately 700 years ago. It was established in Ilkhanid period. Tabriz has a humid continental climate with regular seasons (Köppen Dsa). The annual precipitation is around 280 millimetres (11 in), a good deal of which falls as snow during the winter months and rain in spring and autumn. The city enjoys mild and fine climate in spring, dry and semi-hot in summer, humid and rainy in autumn and snowy cold in winter. The average annual temperature is 12.6 °C (54.7 °F). Cool winds blow from east to west mostly in summer. The inhabitants’ overall evaluation of climate is pretty negative; there is a popular saying that “Təbrizin alti ayii qişdir, altisi də qəmişdir!” (in Tabriz, six months of the year are winter and the other six months are a nuisance). Air pollution is one of the major environmental issues in Tabriz. Air pollution is due to increase of number of cars in the commuting in the city and the polluting industries such as thermal power plants, petrochemical complexes and the oil refinery in the west of the city, air pollution levels increased continuously in the second half of the 20th century. With a mandate of national environmental codes by heavy industries the industrial air pollution is reduced in recent years. However the air quality in the city is far away from world norms for clean air. An immediate environmental threat is the shrinkage and drying out of the Lake Urmia located in outskirts of Western Tabriz. The lake has faced a grave crisis since the late 20th century. Water depth reduction, increasing water salinity to saturation level and the appearance of vast salt fields around the lake, are alarming indications of gradual total desiccation of a unique ecosystem. This occurred due to global warming and ever increasing demands for inadequate fresh water sources in the basin. It is feared in the near future low-lying clouds of airborne salt and minerals may hover over large areas around the lake, posing serious health hazards. Saat Tower, Municipality Museum and former municipality office. Authority for the city lies with the Mayor, who is elected by a municipal board. The municipal board is periodically elected by the city’s residents. The Municipal central office is located at the Tabriz Municipality Palace. Tabriz is divided into 12 municipal districts. Each municipal district retains a number of the older neighborhoods that are of cultural and historical interest. According to an official 2016 census, the population of Tabriz is 1,733,033. The majority of the city’s population are Azerbaijani Turks, followed by Persians, Armenians, Assyrians, and other People of Caucasus. The predominant language spoken in Tabriz is Azerbaijani Turkish (Azerbaijani people call it Türkü or Türki language), which is a Turkic language mutually intelligible with modern Turkish dialects. The language has a strong Iranian substratum since it has been in close contact with the Persian language for many centuries. Similar to the other parts of Iran, the official language is Persian and the most inhabitants have native or near-native knowledge of Persian language, which is the major medium of education. Nevertheless, the Iranian constitution respects the right to speak and have limited educational facilities in other native languages, including Azerbaijani. For the first time, an academic program on Azerbaijani language opened at the University of Tabriz in 1999. Other than Azerbaijani, there is a notable minority of Armenian speakers and a smaller minority of Assyrian Neo-Aramaic speakers. It is believed that before the gradual increase and dominance of Azerbaijani language in the area, other Iranian languages similar to Farsi were spoken in Azerbaijan and Tabriz. The 13th-century manuscript Safina-yi Tabriz has poems in what its Tabriz-born author has called the Tabrizi language (Zabān-e-Tabrizi) which is similar to Farsi language. Samples of the Tabrizi dialect of the Old Azeri language include quatrains recorded in Tabrizi dialect by Abd al-Qadir Maraghi, phrases from Baba Faraji Tabrizi and poems in Tabrizi in the Safina-yi Tabriz, and poetry from Homam Tabrizi, Mama Esmat Tabrizi, Maghrebi Tabrizi and others. After being crowned at Tabriz in 1501, Shah Ismail I announced the Twelver branch of Shia Islam as the official religion of the Safavid Empire. As a result of this royal order, the mostly Sunni population of Tabriz converted to Shia. Currently, the majority of people are followers of Shia Islam. The city has a visible Armenian Apostolicminority who follow Christianity. There used to be a small Jewish community, but most of them have moved to Tehran. Tabriz is also home to a very large number of the followers of Yarsanism, a Kurdish folk religion. There is a small, embattled Baha’i community in the city. The proximity to Sahand, a mountain in the south of the city, has been a source of inspiration for contemporary revolutionaries and poets alike. The power of this inspiring source, however, goes to much earlier times. Tabriz was a house for numerous Iranian writers, poets, and illumination movements. In old times the city notables, supported poets and writers by organizing periodical meetings. Within its long history it was a residence for many well known Iranian writers and poets. The list can start from the old time Rumi, Qatran, Khaqani to recent years Samad Behrangi, Gholam-Hossein Sa’edi, Parvin E’tesami. The prominent Iranian Azeri poet Mohammad-Hossein Shahriar was born in Tabriz. The culture, social values, language and the music is a mixture of what exists in rest of Iran. For Tabriz is neighborhood of the beloved. The half loaf of bread and the water of Mehranrud [river] are enough! Raised its outstanding height there! A century-long autocratic nation-building policies of central governments in Iran has succeeded in cultural assimilation in the favor of a government-sanctioned culture. As a result, Tabriz, by the turn of the 20th century had nearly become devoid of its once characteristic cultural identity. Thanks to the more liberal policies of the Khatami era (1998–2006, a cultural renaissance took place and the local music was revitalized. The traditional Azeri music is divided into two distinct types, the music of “ashugh” and the “mugham“. Mugham, despite its similarity to Persian classic music, was not common among Iranian Azeris. In recent years, however, mugham is gaining popularity among educated middle-class young generation. For instance, Nasir Atapur, from Tabriz, was the laureate of Mugam contest 2007. “Tabrizian style” painting was shaped in the era of Ilkhanids, Kara Koyunlu and the Safavids. The paintings date back to the early 14th century and show significant influence from Chinese and Chinese-influenced pictures. Over years Tabriz became the center of the famous school of Persian miniature painting. A fascinating fictional account of “Tabrizian style” painting in the Safavids era is narrated by Orhan Pamuk in My Name Is Red. Aash is a kind of soup prepared with bouillon, various vegetables, carrots, noodles and spices. Abgoosht or Shorva (آب‌گوشت) is a hearty soup made of mutton (sheep meat) and chickpeas. It has been cooked in Iran for many years and, until recently, was the main dish of most families in Tabriz. Garniyarikh (meaning “the torn abdomen” in Azeri) is a kind of dolma filled with meat, garlic, almonds and spices. Tabriz köfte is a special recipe from Tabriz with the appearance of big meatballs, which are prepared with a mixture of ground meat, rice, leeks and some other ingredients. 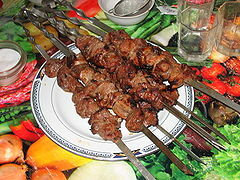 The word kofta is derived from Persian kūfta: in Persian, kuftan (کوفتن) means “to beat” or “to grind”. There are also confections, biscuits and cookies, some of which are Tabriz specialties including Qurabiya, Tabrizi Lovuez, Riss, Nougat, Tasbihi, Latifeh, Ahari, Lovadieh, and Lokum. Konjod Halvasi, a laminal sesame cookie. 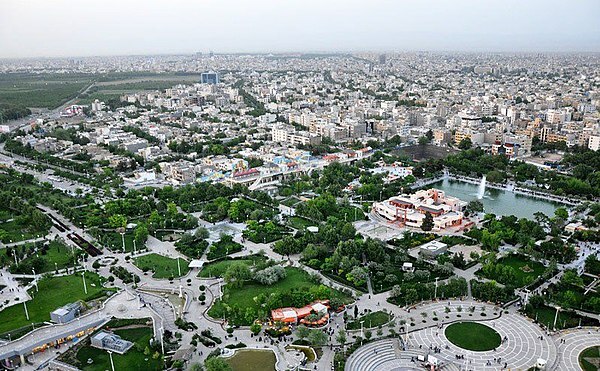 Tabriz has 132 parks, including 97 small parks, 31 regional and 4 city parks. According to 2005 statistics, the area of parks in Tabriz is 2,595 km2, and the area of green spaces of Tabriz is 8,548 km2, which is 5.6 sq.m per person. The oldest park in Tabriz, Golestan Baği, was established at first Pahlavi‘s era in the city center. Tabriz also has 8 traveler-parks with capacity of 10.000 travelers. An interesting park-like popular location is Eynali, a mountain at the north-east extremity of the city. Eynali was a barren mountain on top of which there was a huge white rectangular antenna facing Tabriz city. The old building was claimed to be a shrine that housed the burial site of an Imamzadeh (a descendant of the profit of Islam). In recent years trees have been planted on mountain slopes and the place has the appearance of a vast park. Every Friday morning many walk the site to enjoy the relatively cleaner breezes and watch the ever-growing jungle of high-rise buildings on the flat, arid plateau. Generally, the brief picnic ends with drinking a few cups of tea that has been brewed on a smoking fire. Making fire is a challenge as the scanty vegetation consists of trees that have been planted in recent years and are jealously guarded behind barbed wires. However, the crowds enjoy the challenge as a pleasant part of the weekly ritual. In older times, only groups of young men would climb near the shrine. In more recent years the presence of women is noticeable. Tabriz is the largest economic center in Northwest Iran. The economy of Tabriz is based on commerce, services, health care and pharmaceutical, small and heavy industries, and handcrafts. Tabriz is the main site for four of Iran’s Fortune 100 companies including: ITMCO, Palaz Moket, Kashi Tabriz, Shirin Asal, Aydin. Modern industries in Tabriz established since early 20 century by match manufacturing industries. Currently manufacturing industries in the city include manufacturing of machinery, vehicles, chemicals and petrochemical materials, refinery, cement, electrical and electronic equipment, home appliances, textiles and leather, nutrition and dairy, woodcraft, and pharmaceuticals. There are hundreds of industrial complexes in Tabriz’s industrial area. Among them is the Iran Tractor Manufacturing Co (ITMCO) which is one of the biggest industrial complexes in the region. This complex alone has the highest foundry and forging capacity in the Middle East and it is the biggest tractor manufacturer in Iran with several production branches within Iran and other countries. Behind ITMCO there are several other industrial complexes including Mashin Sazi Tabriz Co, Iran Diesel Engine Manufacturing Co (IDEM), Pump Iran, Tabriz Petrochemical Complex, Tabriz Oil Refinery and a couple of industrial regions which include hundreds of small industries. 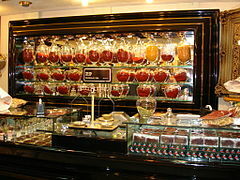 Tabriz is also a site for abundant food and some of the most famous chocolate factories in Iran which honored the city as the Chocolate City of Iran. This includes Dadash and Baradar Industrial Co. with the brand mark of Aidin, Soniz which is one of the biggest factories of its kind in the region. A vast portion of the city’s population is involved in small businesses like shoe making ateliers, stone-cutting, furniture ateliers, confectionery, printing and dry nuts. Due to its distinct handicrafts and carpets Tabriz is selected as the world city of crafts and carpet. Tabriz is the main center for the production of the famous Iranian Rugs. The distinctive durability of Tabriz’s carpets and its unique designs made it a famous brand in the world’s carpet markets. Tabrizi rugs and carpets usually have ivory backgrounds with blue, rose, and indigo motifs. They often feature symmetrical and balanced designs. They usually have a single medallion that is surrounded with vines and palmettos. One of the main quality characteristics of Tabriz rugs is the weaving style, using specialties that guarantee the durability of the rug in comparison for example with Kashan rugs. Shopping centers are mostly located in the city center, including Grand Bazaar of Tabriz, pedestrian malls on Tarbiyat street, Shahnaz street and Ferdowsi street. Also, there are some malls and a lot of elegant & luxurious boutiques of jewelry, rugs, clothes, handicrafts, confectionery and nuts, home appliances and so on in the Abresan intersection, Roshdiyeh district and Kouy Valiasr. The special feature of Tabriz’s malls is that most of them are designated to a particular order, such as home appliances, jewelry, shoes, clothes, wedding ceremonies, ladies/babies/men specialties, leather products, handicrafts, agricultural products, computers, electronic components, industrial equipment, piping equipment, chemical materials, agricultural machines, stationery, books, rugs, construction stuff and others. Likewise, there are seasonal/occasional shopping fairs opened mainly in the Tabriz International Exhibition Center. Tabriz International Exhibition Center which is located in the eastern part of the city holds tens of exhibitions based on yearly schedule. The most famous fair is TEXPOwhich is a general trade fair. Established in 1992, it usually holds exhibitions around August 4–9 every year. Tabriz University of Medical Sciences has departments from various medical and paramedical branches. This University was part of University of Tabriz until the early 1980s. Sahand University of Technology is established in 1989 and have majored in different fields of Engineering and Technology related sciences. Azarbaijan University of Tarbiat Moallem is established in 1987. Azerbaijan University is a general university. Its main campus is located based in Azarshahr county. Tabriz Islamic Arts University is a public university established in 1997. Payam-e Noor University of Tabriz, is part of Payame Noor University network of the remote educational university. There are few technical colleges, which serve the students as well: Elmi-Karbordi University of Tabriz, Tabriz College of Technology, Roshdiyeh Higher Education Institute of Tabriz, Jahad Daneshgahi (ACECR) Higher Education Institute (East Azerbaijan Branch), Alzahra College of Technology, State Organization of Technical and Vocational Training. Hundreds of public and private schools serve students using the Iranian education system. Students attend primary school for five years, middle school for three years, and secondary school for a final three years. Those entering university must attend one year in college first. While the prominent language in Tabriz is Azerbaijani, Persian is used in school classrooms. Some of the high schools are famous because of their history or higher educational quality. Memorial school (American School of Tabriz) was opened in 1891 and is one of the most famous schools of American Missionary Schools in Iran. After World War II, the school’s name was changed to Parvin High School, under Iran education ministry’s management. Currently, it is divided into three separate high schools, and the original building is under reconstruction. Howard Baskerville used to teach in Memorial school. Ferdowsi high school is one of the largest and most prominent high schools in Tabriz. 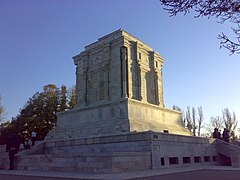 The original building was constructed by German engineers before World War II originally as a hospital with an aerial shape of H. Later on, it was used as Ferdowsi high school. Mansur High School (established 1945) was one of the highest-ranking schools in Tabriz. Later on, the school divided into Mansur (Taleghani) High School and Motahhari high school. The reconstruction of the school in 2010 has caused tension between alumnus of the school and administrators of the education office of Tabriz. Shahid Madani and Farzanegan or so-called Tiz-houshan high schools (which are part of SAMPAD/NODET) were established in 1989. The students are admitted to these schools through a competitive entrance exam. These schools are famous because of the higher rate of admission of their graduates through Iranian universities entrance exam. Valiasr Religious School and Talebieh Islamic Science School are two major religious schools in the city which are used for teaching Islamic literature. Tabriz National Library, also known as Central Library of Tabriz, is the largest and the most famous library in the city. The Tabriz National Library has the biggest collection of classic handwritten Persianliterature in the northwest region of Iran. There are many other public libraries all around the city such as Tarbiat library, Helal Ahmar, Shahid Motahhari, Shahriyar, Jafarieh, and Farhangsara. The Ministry of Health operates most of the public hospitals and health centers in the Tabriz metropolitan region, some of which are aligned with the Tabriz Medical School. Tabriz residents mostly commute by public bus, shuttle taxis, metro, bike, and personal cars. Tabriz public bus lines connect its districts and some of its suburbs to the city center of Tabriz. Tabriz also has a Bus Rapid Transit (BRT) line which runs through an 18 km (11 mi) from Train Station in West of Tabriz to Baseej Square in far East of the city. Tabriz also has a public shuttle taxi service which connects city centers to major districts of the city. There is another taxi service running in the city calls Telephone Taxi which operates by private companies. Part of Tabriz subway line 1 is operational since 2015 which goes from Shahgoli to Shahriyar. Several lines are planned to connect districts of Tabriz to its city center however the construction is six years behind the schedule. The government of Iranhad planned to finish 6 km (4 mi) of line No.1 of the network in 2006, but this was not achieved due to financial problems and currently only half of the track for the metro line has been laid. Tabriz is linked to Europe through Turkey‘s roads and Bazargan (Azerbaijani, Persian: بازرگان ) border. Tabriz is connected to Tehran by Freeway 2 (Iran). The city is linked to Iran National Railways (IRIR, Persian: رجا ) also to Europe by Turkey‘s railways via Ghotour (Azerbaijani, Persian قطور) bridge in West Azerbaijanprovince of Iran. Tabriz was the first city in Iran to be served by railways with the construction of the Tabriz-Jolfa line in 1912–1914 (later converted to broad-gauge in 1916). Tabriz Railway Station is located in the western part of the city, at the end of Khomeyni Street. Tabriz International Airport opened in 1950 and is the only international airport in East Azerbaijan (since 1991). It has daily and weekly domestic flights to Tehran, Isfahan, Kish Island, Shiraz, and Mashhad. It also has daily and weekly flights to Istanbul, Tbilisi, Baghdad and Baku. Tabriz is a hub for the major sports events in the region. The city has a couple of sports complexes. The major sports complex inside the city is Bagh Shomal complex which includes a soccer stadium, swimming pool, an arena for basketball and volleyball. There is also a bigger sports complex which is named the Olympic village which has a soccer stadium and a cycling track. They are several other smaller complexes for martial arts, swimming pools, and gymnasiums. Among many different sports activities soccer and cycling got more attention because of the cities teams and international events which are held in the city. Football is a major part of the city’s culture. The huge number of fans made Tabriz home to four Iranian major Football teams: Tractor FC, Machine Sazi FC, and Gostaresh Foolad FC. Tractor Sazi and machine sazı and Gostaresh Foolad play in the Iran Pro League. Tractor Sazi is very popular in northwestern Iran. The home stadium for Tractor and machine sazı is the city’s major stadium, Sahand Stadium which has the capacity of 80,000 people. Gostaresh plays in its own 12,000 seated Stadium, which was recently built in 2012. The matches of and Shahrdari Tabriz who play in the lower leagues are held in the older stadium of Bagh Shomal Stadiumwhich is located near downtown Tabriz. In June 1976 Bagh Shomal Stadium of Tabriz hosted part of the final tournament of the AFC Asian Cup games. The city’s main futsal club is Dabiri Tabriz which was founded in 1998 and plays at the Oloum Pezeshki Arena in the city. The club won the Iranian Futsal Super League in 2014 and finished third in Asia. The cities other futsal team is Shahrdari Tabriz who play at the larger Shahid Poursharifi Arena. The club is usually a mid table team and has less support throughout the city. Tabriz is also home for Azerbaijan Cycling Tour which is held on a yearly based calendar since 1986. This cycling tour is the most prestigious cycling tour in Iran. Tabriz is also home for Tabriz Petrochemical Cycling Team, a cycling team which is competing in UCI-sanctioned competitions through Asian continents. 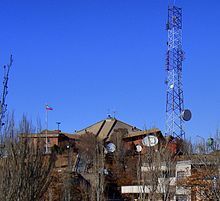 Tabriz has one state television channel called Sahand TV that broadcasts in both Persian and Azerbaijani languages. It broadcasts internationally through the Arabsat and Intelsat satellites. The 14 weekly magazines and 8 main newspapers published in the city include: Amin, Mahd Azadi, Asr Azadi, Fajr Azarbaijan, Saeb Tabriz, Payam Noor, Navaye Misho and Saheb. Within its long history, Tabriz was always the origin for many Iranian illumination and modernization movements. This is why the city was the hometown of numerous Iranian dominant figures including many Iranian politicians, revolutionaries, artists, and military leaders. Here a partial list of some of the most notable people who born or lived in Tabriz. King Naser al-Din Shah Qajar. Sattar Khan, a pivotal figure in the Iranian Constitutional Revolution. Farhad Fakhreddinicomposer, conductor and founder of Iran’s National Orchestra. Samad Behrangi, teacher, social critic, folklorist, translator, and writer. Karim Bagheri, coach and former football player. Azerbaijan and Turkey have consulate offices in Tabriz. Formerly the Soviet Union and the United States had consulate offices in Tabriz. The US consulate office closed after the 1979 Islamic revolution and the USSR’s office closed after the collapse of the USSR in 1991. A Tabriz rug/carpet is a type in the general category of Persian carpets from the city of Tabriz, the capital city of East Azarbaijan Province in north west of Iran totally populated by Azerbaijanis. It is one of the oldest rug weaving centers and makes a huge diversity of types of carpets. The range starts at Bazaar quality of 24 raj (Number of knots per length of 7 cm of the widths of the rug) and on up to the incredibly fine 110 raj. Raj are the units of knot density (it shows the fitness of the rug which based on the number of strings used for the foundation of the rug. Strings materials are usually made of cotton or silk which is used for very fine rugs). The art of Tabriz carpet was in its zenith in the 12th-16th centuries. About 200 Tabriz school masterpieces of the classical or “golden” period of the 14th century are characterized by a harmonic merge of the arts of miniature paintings and weaving, by a high level of craftsmanship demonstrated by artists and carpet weavers. ” Ardabil”, “Sheikh Safi”, “Sarabi”, “Shah Abbasi” and “Mir”. “Tabriz”, “Heris”, “Lachak-turanj”, “Afshan”, “Agajaly”, “Dord Fasil”, “Sardorud”. Kerman carpets (sometimes “Kirman”) are one of the traditional classifications of Persian carpets. They are named after Kerman, which is both a city and a province located in south central Iran, though, as with other such designations the term describes a type which may have been manufactured somewhere else. Kerman has been a major center for the production of high quality carpets since at least the 15th century. In the 18th century, some authors considered the carpets from the province of Kerman, especially at Siftan, to be the finest of all Persian carpets, partly because of the high quality of the wool from the region, known as Carmania wool. In the world of antique Persian rugs, Kerman carpets are celebrated as being among the best. Kerman rugs are prized by collectors for many reasons, including a wide range of designs, a broad palette, use of natural dyes and fibers, great tensile strength and abrasion resistance, and expert color combinations. No two Kerman rugs are precisely alike, but these general characteristics typify this enduringly popular style. Damask Rose is the most popular motif in Kerman rug designs, particularly in “Sabzikar Ravar” and “Gol Sorkhi” (Red Rose) rugs. Other well-known motifs are “Ghab Ghora’ani”, “Setooni”, “Ghabi”, “Kheshti”, “Saraam Atiyeh”, “Jangali”, “Shekargah” and “Lachak-Toranj”. Recent Kerman products prepared for western markets are woven in gentle and light colors like amber, pink, milky and blue-gray. In response to market demands, modern Kerman rugs also use western motifs, such as stripes, various repetitive motifs, vase, symmetric, and also garden themes, animal shapes, and pictorial rugs. Kerman antique carpets also use the Toranj motif border which consists of margins and narrow lines. Another rare and distinct variation of Kerman carpets is the Lavar or Ravar Kerman. Although Lavar is not the correct name, some are still labeled as such. These carpets were produced in Ravar village next to Kerman city in the northern region, and are known particularly for their fine weave and elegant, classically derived design of allover and central medallion formats. Whether Ravar Kerman or Kerman, these antique rugs can boast fine woven reproductions of European paintings, as well as curvilinear, dense allover floral patterns. Floral patterns woven into Kerman carpets are derivative of shawls for which Kerman was also the center of producing in the early to mid-19th century. Most Ravar or Lavar Kerman carpets include a signature, either that of the weaver or the person for whom the carpet was woven. It is important to note, however, that there is no one design or style of Kerman rug that is vastly more popular than any other. Because of the tremendous demand for rugs produced in Kerman, and because of the complex demographics of those generating the demand, a surprising variety of styles and designs were produced. While some Kerman rugs were woven explicitly for monied buyers from the West, there were of course local consumers as well. Kerman rugs and carpets were woven in many sizes, some extending out to 10 feet or more. Typical manufacturing used an asymmetrical knot on cotton foundation, but rare examples include silk or part silk piles, or silk foundations with wool pile. While there is no one type of Kerman rug that defines the style, the famous “Carpet Design” is certainly the most present in the popular imagination. Vase carpets, a type of Kerman rug distinctive of the 16th and 17th centuries, are characterized by an allover pattern of stylized flowers and oversized palmettes with vases placed throughout the field. A Kerman “Vase carpet” from middle of the XVII, estimated at 900 Euro by the Kunstauktionshaus Georg Rehm in Augsburg, was six months later sold at Christie’s in London for 7,5 million euro. It was a record for both carpets and Islamic art in general. This particular carpet, though, had no vase on it; only a continuing pattern of intricately joined leaves that gave the design an unusual energy and charm, it consists of a Herati all-over pattern spread throughout the indigo-blue field of the carpet. But it was the weaving technique that alerted the dealer to the fact that it might be a “vase” carpet all the same. By the 17th century, when this carpet was made, Kerman’s designers were at their most inventive and their weaving techniques of a sophistication not seen in other parts of the Persian empire. The weavers had learned to set their looms so that the cotton warps were on two different levels. They then threaded the wool wefts, leaving some tight and others sinuous, giving an immediately recognisable wavy finish to the surface of the carpet. The carpet had an excellent provenance, having belonged to the legendary French art collector the Comtesse de Béhague, Martine de Behague (1870-1939), who formed a stunning collection of antiquities, Iranian art and carpets. Varamin carpets and rugs or Veramin carpets and rugs are carpets and rugs woven in city of Varamin and its surrounding area which are among most famous carpets in the world. Many rug and carpet experts see Varamins as being among those Persian carpets most authentic in terms of traditional style and motif. They have geometric patterns with repeated medallions, especially on runners. They are made by tribal people who either live in or pass by Varamin. The principal colours used in Varamin carpets are usually dark brown and dark red on khaki or dark blue backgrounds. The village and workshop weavers mainly use the asymmetrical (Persian) knot, while the nomads, depending on their ethnicity, use either the asymmetrical or the symmetrical (Turkish) knot. The most common design among Varamin rugs is the “Mina Khani” design. The foundation is mostly made of cotton, the Persian Senneh-knot is used for these rugs as opposed to the more widespread Turkish knot. Varamin is considered being among the elite of Persian carpets. Uzbek Julkhyr is a type of rug that was made primarily in Uzbekistan. It is a long coarsely woven rug sleeping rug woven and was also made by the Uzbek north at the time in Afghanistan. They are similar in use and construction to old gabbehs. An Uzbek Napramach, late 19th century. Size: about 130 x 40 cm. The Uzbek Napramach was used particularly by nomads in the mountains of Uzbekistan used as a cushion due to its thick texture as well as a mat.